The Centre for Science and Environment analysed the power deficit and found a major slowdown in the sector in 2018. 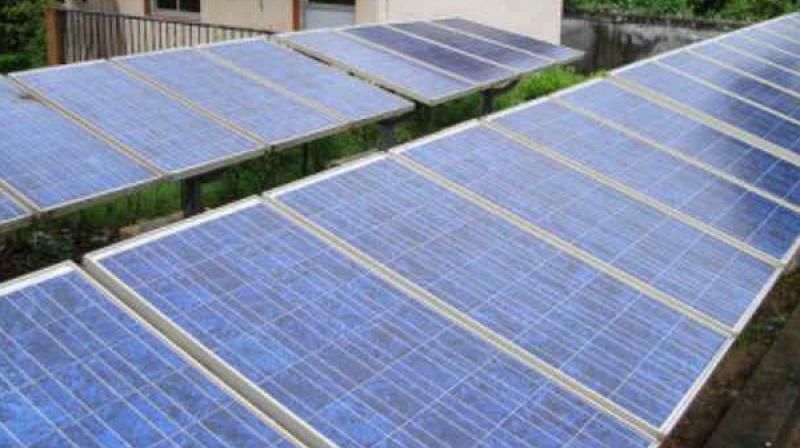 Hyderabad: Installation of renewable solar energy in residential sectors has failed completely. Just 73 gigawatts, or 20 per cent of the targeted 175 gigawatts of renewable energy by 2022, has been achieved so far. The installed solar capacity has increased from 2.6GW in 2014 to 23.1GW in June 2018. The large-scale solar consumption is only by industrial, commercial and government sectors. Around 5,000MW of solar power is generated in Telangana state and 8,000MW in Andhra Pradesh. Solar rooftop renewable energy has not made the required headway. The aim was for 40 GW capacity by 2022, but till November 2018, only 1,334MW had been connected through roof top systems. To add to this, distribution companies or discoms are underperforming because of financial distress and non-payment, which is adding to a cycle of bad debts.